Here are some guidelines that will help you in preparing for surgery and the immediate pre- and post-operative period. Dr. Roth’s surgical scheduler is Dorothy (510 -267-4016). She will be your main point of contact starting now through your surgery and will assist you in scheduling the surgery, getting insurance authorizations, booking your pre- and post-operative visits, arranging your post-operative physical therapy, and arranging your pre-operative medical evaluations, if required. Once you and Dr. Roth have decided that a surgery is the most effective treatment for you, please contact Dorothy at your earliest convenience to start the process. Please be aware that depending on the urgency of your surgery, it may take a few weeks to find a time that is convenient for both your and Dr. Roth’s schedule. While a specific surgical day can be requested, it may or may not be possible for Dr. Roth to accommodate exactly the day that you wish your surgery to take place. Shawn Lies, PA-C will see you in the office. He will do a preoperative history and physical examination and complete the necessary paperwork. He will write preoperative hospital orders and if needed, he will order the appropriate pre-operative laboratory studies. Depending on your surgery, Dr. Roth may recommend doing preoperative exercises and/or physical therapy in order to help speed your recovery after surgery. He will give you prescriptions for post-operative physical therapy and pain medications at this visit, and if you need any post-operative equipment (ice machine, sling, braces, crutches) he will give you these at this visit as well. Wash the extremity at least daily to get it as clean as you can. This decreases the risk of infection. Be careful not to get any scratches, cuts, sunburn, poison ivy, etc. The skin has to be in very good shape to prevent problems after surgery. You do NOT need to shave. Do NOT put any lotions or creams or oils on the skin the 24 hours before surgery. 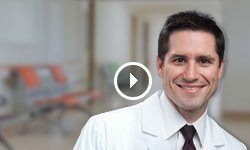 Blood Thinning Medications: You need to stop taking blood thinning products such as Aspirin for 5-10 days prior to surgery – please discuss this with Dr. Roth. Other medications with blood-thinning qualities you may be asked to stop before surgery include: Advil, Motrin, Ibuprofen, Aleve, and Naprosyn. There may be others on the list, including Celebrex and Mobic, which are prescription anti-inflammatories but also have slight blood-thinning qualities. Please check with Dr. Roth about these medications. If you are taking a prescription blood thinner such as Coumadin or Plavix, please discuss with Dr. Roth and your prescribing provider the options regarding surgery and briefly interrupting your prescription blood-thinner. Sometimes an alternative medication, such as Lovenox, is prescribed as a bridge therapy during the days immediately around your surgery. Please be in touch with Dr. Roth’s surgical scheduler, Dorothy (510-267-4016), to confirm the exact time that you should report to the hospital for surgery. It is your responsibility to arrange in advance for a responsible adult (over the age of 18 years old) to pick you up at the center, drive you home and remain with you for the first 24 hours after surgery. You cannot drive yourself, take public transportation or a taxi, or be left alone. Notify Dr. Roth before coming to the center if there is any change in your physical condition, such as a cold or fever. A Preoperative Nurse will contact you for an informational interview prior to your surgery. If you have not been contacted 12 to 48 hours before your surgery, please call the appropriate surgery center (phone numbers below) for specific instructions. Prior to surgery you will meet with the anesthesiologist, the pre-operative nurse, and you will have an opportunity to ask any additional questions. If you wear contact lenses or glasses, bring a case for their safekeeping. The Surgery Center provides containers for removable dentures and bridgework. Please do not take any medication after midnight unless instructed by Dr. Roth or by the Surgery Center. If you are diabetic or on blood pressure medication, obtain specific instructions from the Surgery Center. Wear loose, comfortable clothing, such as sweat suits and easy-to-button shirts or blouses that are big enough to accommodate a large bandage after surgery. Wear comfortable shoes. Leave all valuables, including jewelry, body piercings, and cash, at home. Bring with you your photo ID, and insurance cards. Do not drive a car or operate any machinery that requires your full attention. Do not sign any legal papers or make any major decisions. Pain: You can expect some discomfort after surgery; the more complicated the operation, the more painful it might be. At your pre-operative appointment your health care provider will prescribe pain medication which will usually control pain very effectively; however these medications can cause side effects such as dizziness, nausea and constipation. Taking Care of Your Incision(s): Keep your dressing dry and clean. Depending on the type of surgery you have had and what/where your incision(s) are, Dr. Roth may ask you to leave your dressing in place or may allow you to remove it yourself. If you are unsure of what to do with your dressing, call Dr. Roth’s office to find out if/when you may remove it. If you cannot get ahold of the office right away (i.e. weekend), leave the dressing in place. You will not cause harm by leaving the dressing in place a few extra days, however, removing it too soon can be problematic. When to Call: Call our office any time, but please notify us immediately of any of the following symptoms. If your symptoms are increasing suddenly and you do not hear from us right away, report to the nearest emergency room for evaluation and treatment. 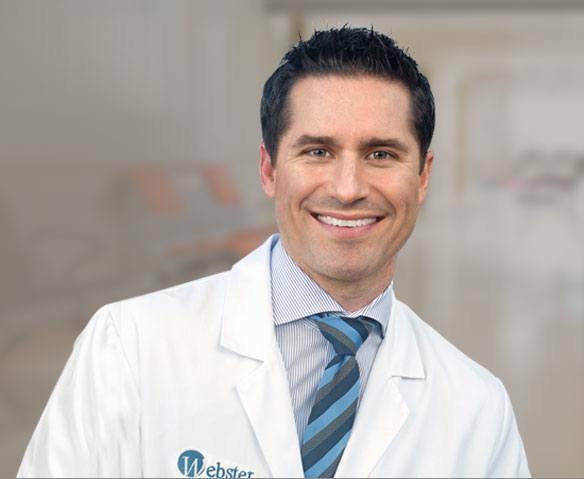 Dr. Roth operates at a number of different surgery locations. Please check with Dr. Roth's surgical scheduler, Dorothy (510-267-4016), to confirm at exactly which location your surgery is taking place.